Mirrors and ligths in the Red Security Museum (Amna Suraka). 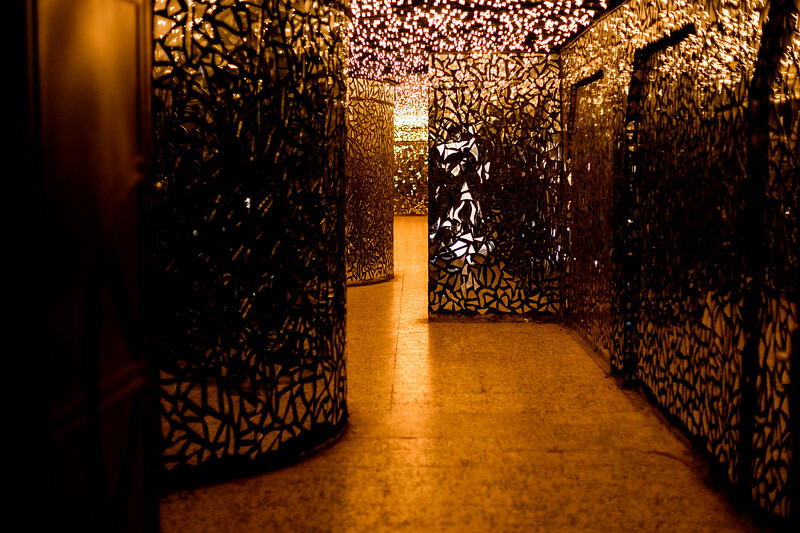 About 4500 lights in the ceiling represent the villages and about 192 000 pieces of mirror fragments on the wall represent each and every person killed. The museum is known as the Red Security due to the red color of the security building used by the Baath regime (Saddam Hussein). Part of the prison describes torture and death at that the time. The site has partly been kept as it was when a kurdish resistance group took it over1991.